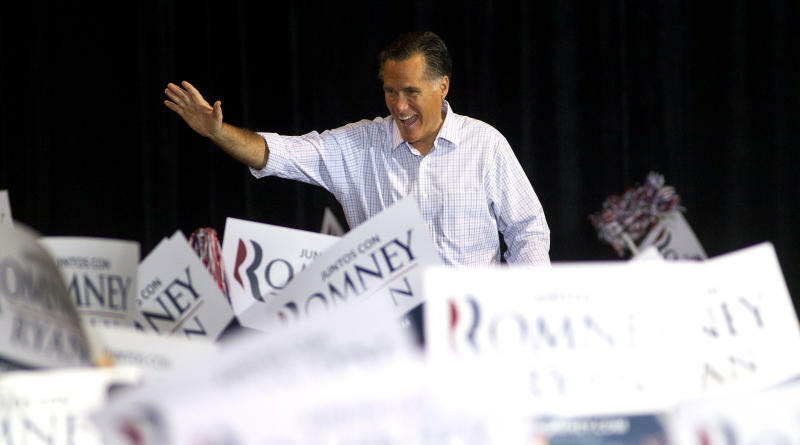 WASHINGTON (AP) — Just which 47 percent of Americans was Mitt Romney talking about? It's hard to say. He lumped together three different ways of sorting people in what he's called less-than-elegant remarks. Each of those three groups — likely Obama voters, people who get federal benefits and people who don't pay federal income taxes — contains just under half of all Americans, in the neighborhood of 47 percent at a given moment. There's some overlap, but the groups are quite distinct. Confusingly, Romney spoke as if they're made up of the same batch of Americans. What Romney said: "There are 47 percent of the people who will vote for the president no matter what." He's right on the nose, according to the latest Associated Press-GfK poll: Forty-seven percent of likely voters say they support Obama. And 46 percent say they support Romney, essentially a tie. This number fluctuates from poll to poll and week to week and could shift substantially before Election Day. —Most are employed: Sixty-two percent of the Obama voters work, including the 10 percent working only part time. A fourth are retired. Five percent say they're temporarily unemployed. —Most earn higher-than-average wages. Fifty-six percent have household incomes above the U.S. median of $50,000. Just 16 percent have incomes below $30,000, and about the same share (20 percent) have incomes of $100,000 or more. —They're all ages but skew younger than Romney's voters: Twenty percent are senior citizens and 12 percent are under age 30. —They're more educated than the overall population: Forty-three percent boast four-year college degrees or above; 21 percent topped out with a high school diploma. What Romney said: "There are 47 percent ... who are dependent on government ... who believe they are entitled to health care, to food, to housing, to you name it." Whether they are dependent and believe they are entitled to anything is arguable, but Romney's statistic is about right — 49 percent of the U.S. population receive some kind of federal benefit, including Social Security and Medicare, according to the most recent Census Bureau data. Looking only at people who receive benefits that are based on financial need, such as food stamps, the portion is smaller — just over a third of the population. Many people get more than one type of benefit. What Romney said: "Forty-seven percent of Americans pay no income tax." Romney's about on target — 46 percent of U.S. households paid no federal income tax last year, according to a study by the nonpartisan Tax Policy Center. Most do pay other federal taxes, including Medicare and Social Security withholding. And they're not all poor. Some middle-income and wealthy families escape income tax because of deductions, credits and investment tax preferences. —About half don't earn enough money for a household of their size to owe income tax. For example, a family of four earning less than $26,400 would owe no taxes using the standard exemptions and deductions. —About 22 percent get tax breaks for senior citizens that offset their income. —About 15 percent get tax breaks for the working poor or low-income parents. —Almost 3 percent get tax breaks for college tuition or other education expenses. —The vast majority have below-average earnings: Among all who don't owe, 9 out of 10 make $50,000 or less. —But some of the wealthy escape taxes, including about 4,000 households earning more than $1 million a year.